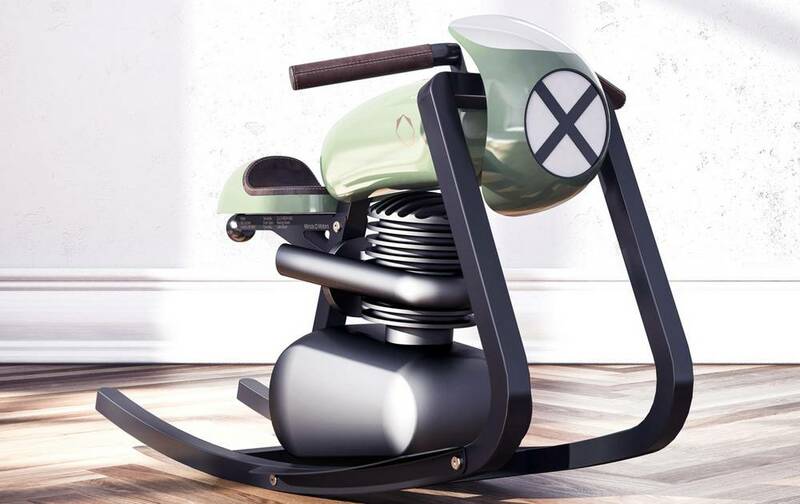 The Moto Rocker is for the child fascinated with two wheeled machines. 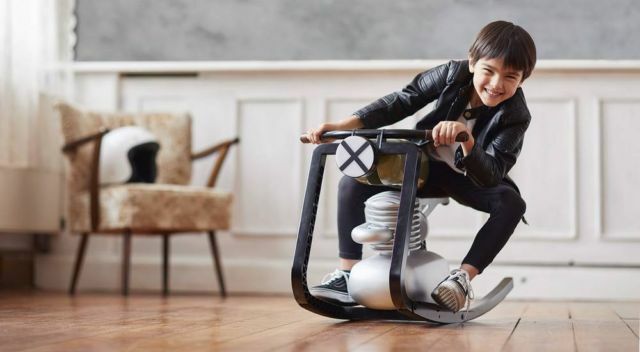 The Moto Rocker is a downscaled motorcycle for the new generation of engine enthused kids. 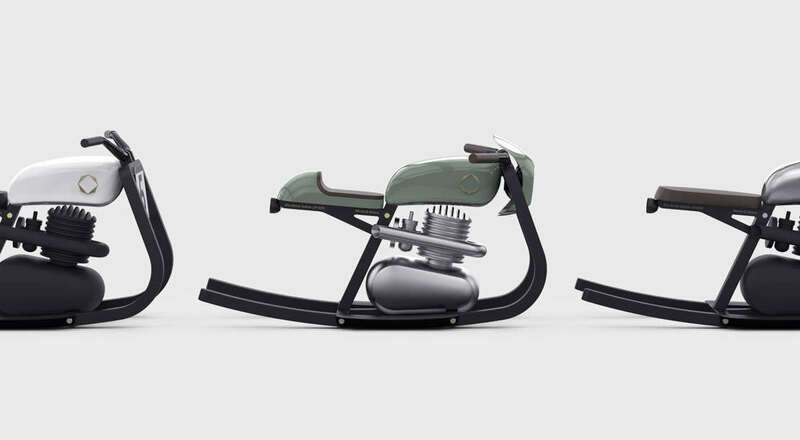 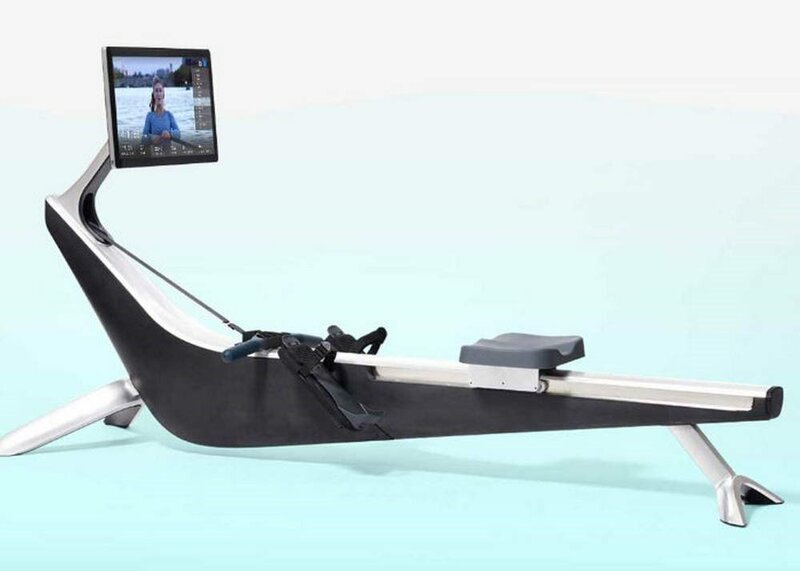 All details of an actual motorcycle are designed and applied to the Moto Rocker to mimic the true feeling of riding. 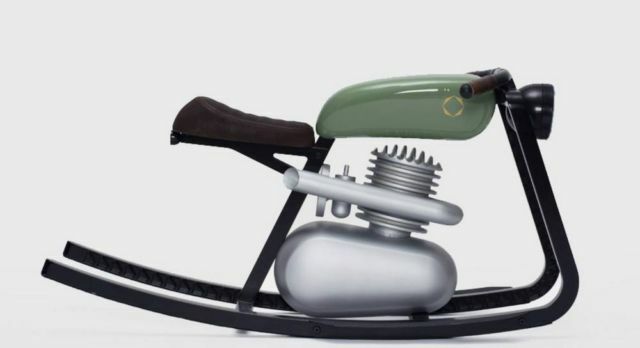 The first edition comes with a one-cylinder 125ccm engine, a head light and a tail light. 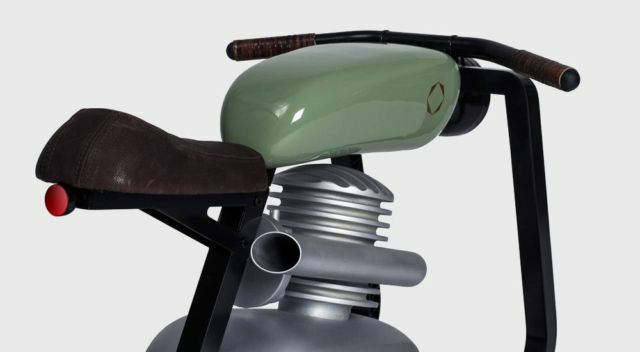 The hand made seat is fabricated with genuine leather. Every rider‘s name is placed on the frame bracket with the serial number and version details making it their own.